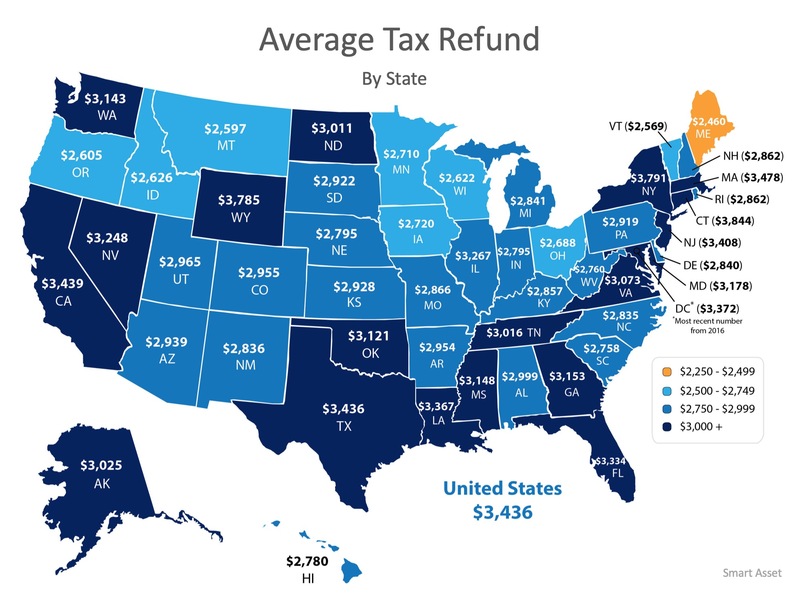 The map below showsthe average tax refund Americans received last year by state. Many first-time buyers believe that a 20% downpayment is required to qualify for a mortgage. Programs from the Federal Housing Authority, Freddie Mac, and Fannie Mae all allow for down payments as low as 3%. Veterans Affairs Loans allow many veterans to purchase a home with 0% down. 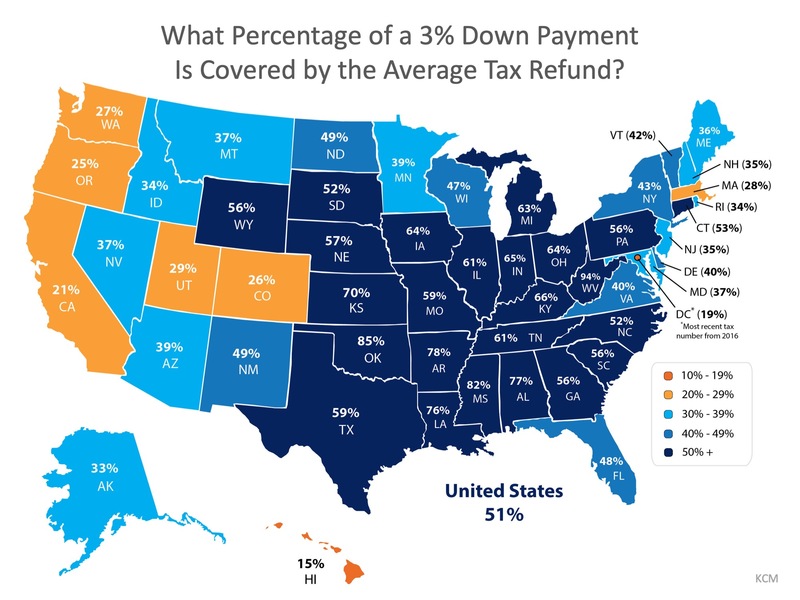 The map below shows what percentage of a 3% down payment is covered by the average tax refund by taking into account the median price of homes soldby state. The darker the blue, the closer your tax refund gets you to homeownership! For those in Oklahoma looking to purchase their first homes, their tax refund could potentially get them 85% closer to that dream! 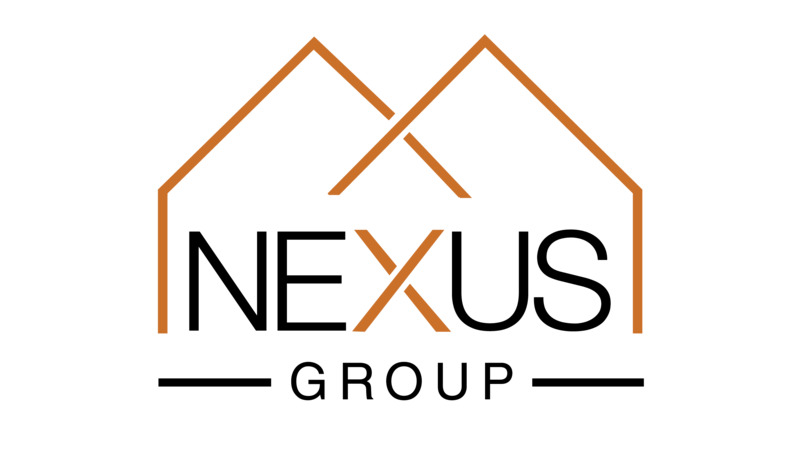 arrow_backWant To Increase Your Family’s Wealth? Here’s How!